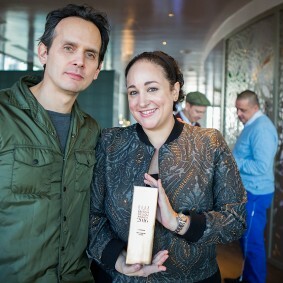 Now in its 14th year, the ELLE Decoration British Design Awards celebrates and rewards the best of the country’s talent. This year we’re turning the spotlight onto emerging designers – UK-based creatives who have been working in the industry for less than five years and have made a big impact in the last 12 months. Thousands of you, our readers, nominated new names across six categories – print and pattern, furniture, lighting, craft, eco and accessories. There were so many great suggestions, in fact, that in some cases we had to pick two winners! Here are our stars – scroll through the gallery to see them and their work. Selected for her painterly murals and digital prints, Glover’s designs show a masterful approach to form, scale and colour Despite a broad mix of influences spanning Indian miniature painting and Japanese woodblock printing, Anna Glover’s creative process is always the same. ‘All designs start with hand painting, usually in gouache or watercolour,’ she says. ‘The images are scanned and manipulated on the computer, enabling a complex layering of motifs, textures and colours. The artworks are then brought to life on different surfaces using digital print technology.’ The bespoke linen wallcovering that Glover designed for an Austrian farmhouse depicts animals and plants in moonlight. ‘Together they tell the story of the owners, their house and the location,’ she says. Her graphic ‘Las Pozas Frost’ collection for Mint (above) was inspired by gardens established in Mexico in 1947 by English poet and artist Edward James. ‘After many of the flowers died in the frost of 1962, James built concrete sculptures to replace them,’ Glover says. 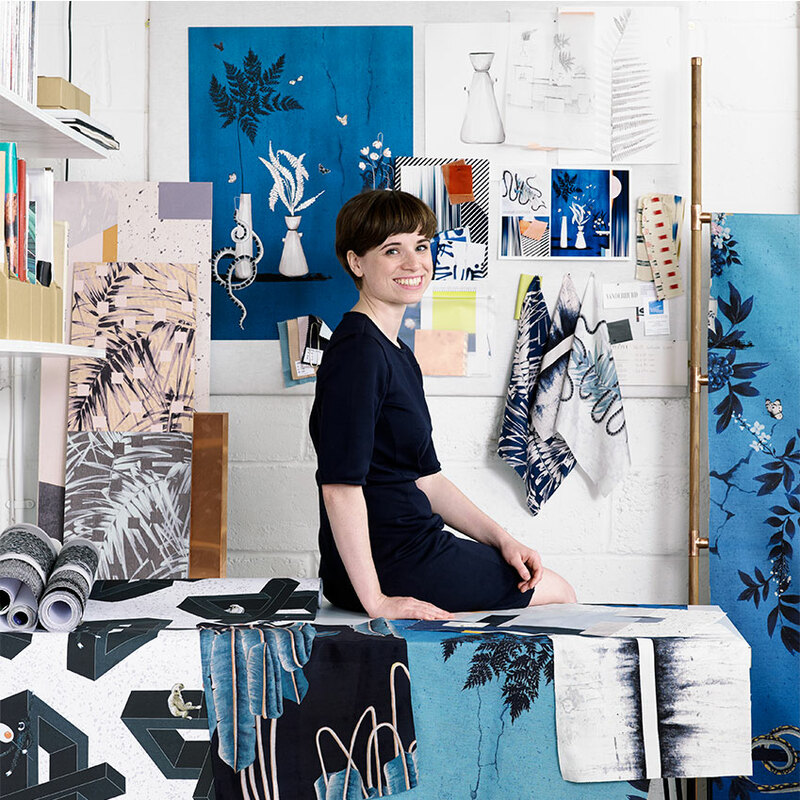 ‘Set amidst the lush jungle foliage, those sculptures form a surreal playground.’ Having studied printed textiles at university and spent four years working in design studios, Glover says the biggest challenge in starting her own business was overcoming the fear of leaving a full-time job. ‘Although at times it is hard, the risks have pushed me forward,’ she says. We fell in love with the delicate lines and subtle palette of &New’s debut collection British-Finnish design duo Mirka Grohn (left) and Jo Wilton (right) met at the school gates four years ago while collecting their children and discovered a shared interest in design. This led to the creation of the pair’s business &New. ‘Working with vintage furniture made us appreciate its quality and craftsmanship,’ says Grohn. ‘But we felt that those elements could be given a modern twist.’ The pair describe their aesthetic as a combination of Nordic simplicity and British wit, inspired by mid-century designers such as Yrjö Kukkapuro, Greta Magnusson-Grossman and Eileen Gray. The pieces in their debut collection, including (from left) the ‘A’ clothes rail, ‘Robot’ side table and ‘Giraffe’ console table, are all recognisable by their minimal, powder-coated forms. There are big plans for the brand in the coming months, including launching the latest &New collection and taking part in pop-up shop Tranzit Store at the London Design Festival (21–26 September, Unit 2 Old Street Tube Station, London EC1; tranzitstore.com). 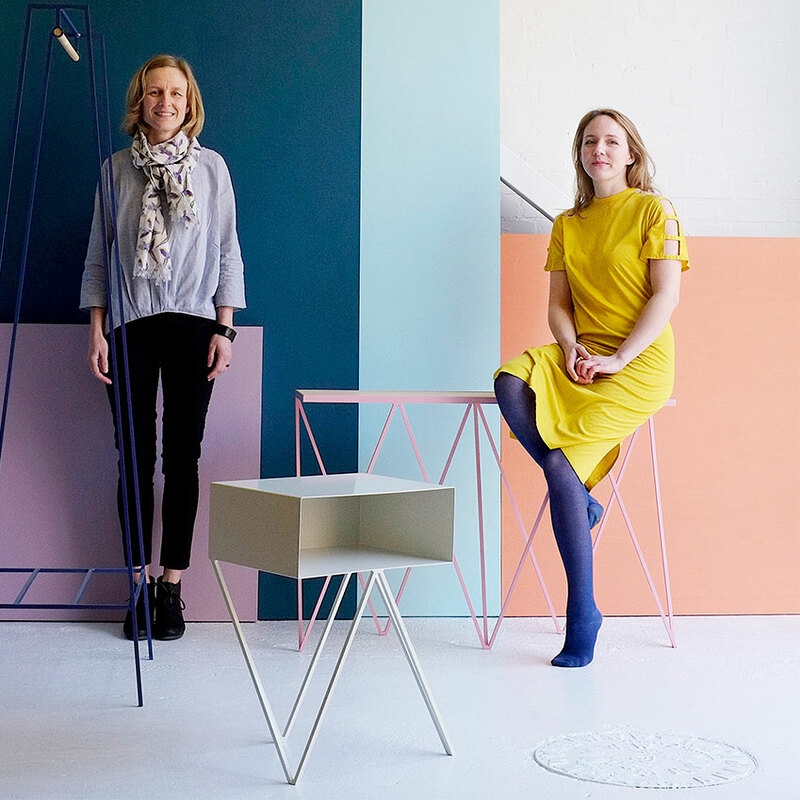 How do they feel about receiving an ELLE Decoration British Design Award for their fun, bright furniture? ‘If you had told us a year ago, we wouldn’t have believed you,’ says Grohn. We were drawn to the elegant geometry and playful scale of Studio Vit’s lighting Studio Vit’s ‘Cone’ lights (above) each comprise a sphere and a cone. This simplicity of form is something that Veronica Dagnert and Helena Jonasson, the Swedish founders of the north London studio, worked hard to refine. 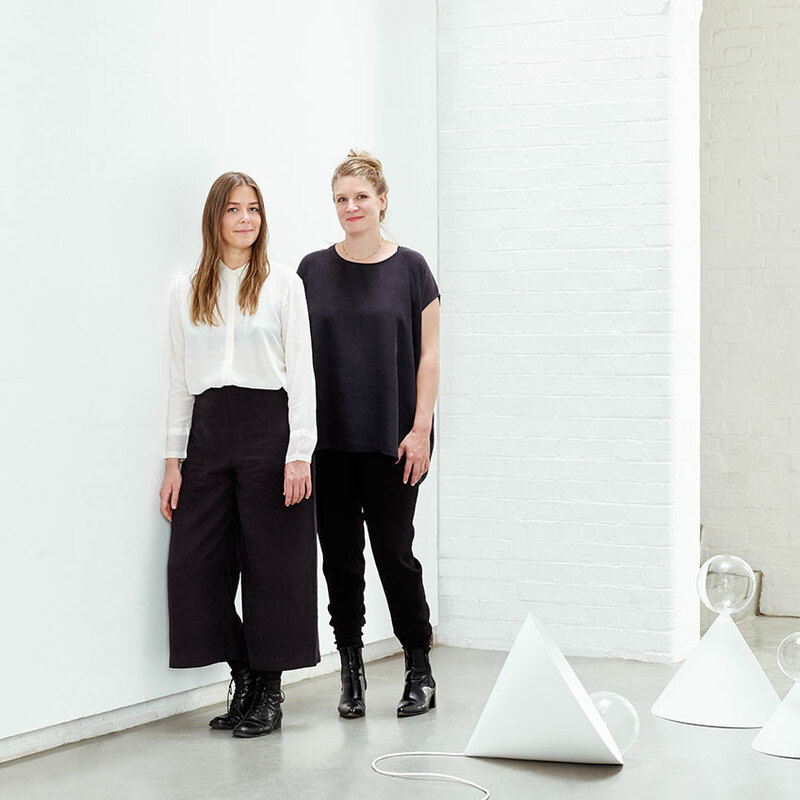 ‘The idea originates from a standard lampshade and bulb,’ says Helena (right). ‘We reduced those elements to two geometric shapes, using contrasting materials for each, and then considered scale and proportion to create an interesting whole.’ The oversized bulb is the result of the pair’s desire to create a little imbalance in each product they make. 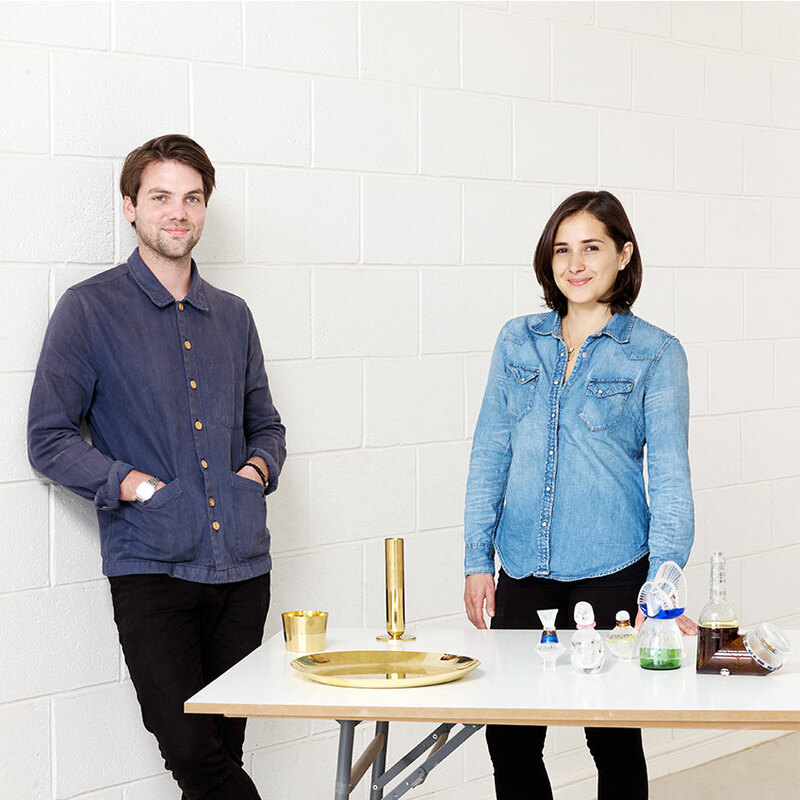 The duo works closely with small factories and craftspeople in and around London to bring their concepts to life. ‘It is important that companies are willing to offer their time and advice to new designers,’ they say. The duo describe their first few years in business as an ‘endurance test’, explaining that ‘the time from the early stages of a project until it reaches the market is long. You need dedication and perseverance.’ The pair’s hard work is clearly paying off. They are developing their ‘Cone’ lights for a European manufacturer, and producing a new collection for &Tradition. They are also working on an exciting lighting commission for the Ace Hotel in London’s Shoreditch. Beautiful glass in bold colours lends Colson’s lighting a sweet, almost edible quality. 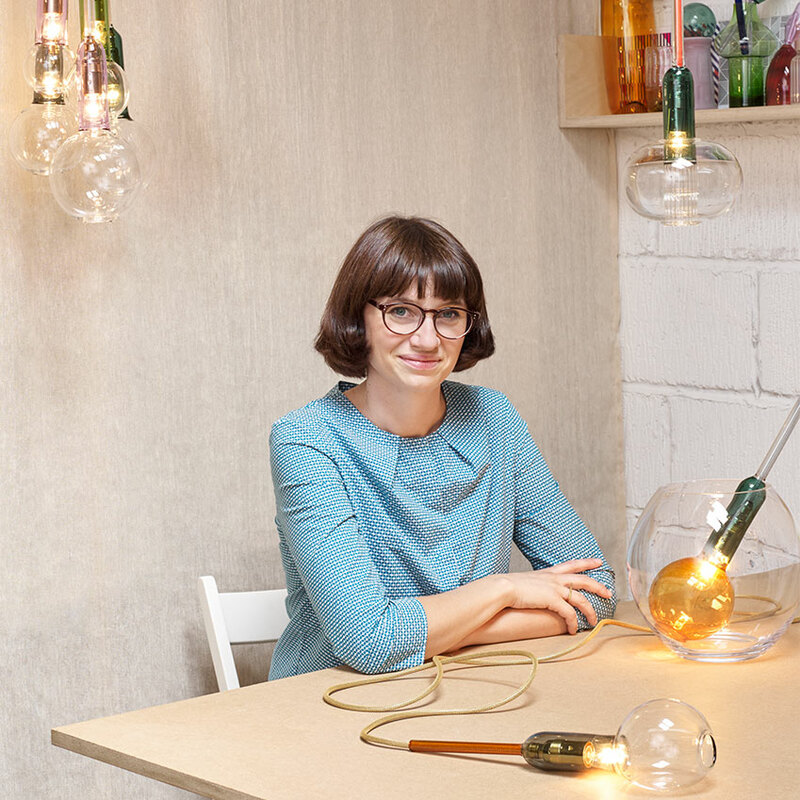 Losing her job as a project manager in 2013 led London-based lighting designer Sarah Colson to pull a box of materials out from under her bed and rediscover her passion for making. In doing so, she sparked a new career that has seen her exhibit at Milan Design Week, take part in community schemes in Brazil, and even give a TEDx Talk in Dubai (and all this from someone who cites a lack of confidence as her biggest obstacle). Colson’s design process involves unlikely materials: ‘pound-shop bargains, wire, fishing tackle, sewing machine parts’. She uses these to make three-dimensional sketches, or what she calls ‘families of monsters’. These forms are then taken to glassblower Jochen Holtz and together they turn them into lights, such as those in the ‘Vitro Lux’ collection (above). ‘I go in with monsters and come out with objects that have a genuine beauty in their balance of form and colour,’ Colson says. Having launched her first collection just 17 months ago, Colson already has plans to exhibit at the London Design Festival later this month, and there are collaborations in the pipeline for early 2016. 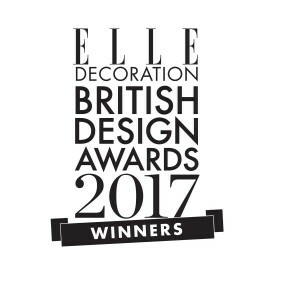 ‘I am honoured to receive an ELLE Decoration British Design Award – such an accolade so early on is just fantastic,’ she says. An adept woodworker, Ted Jefferis stood out for his tangible love of natural timber. Ted Jefferis’ love of wood is in his blood. ‘I come from a family of woodworkers,’ he says. 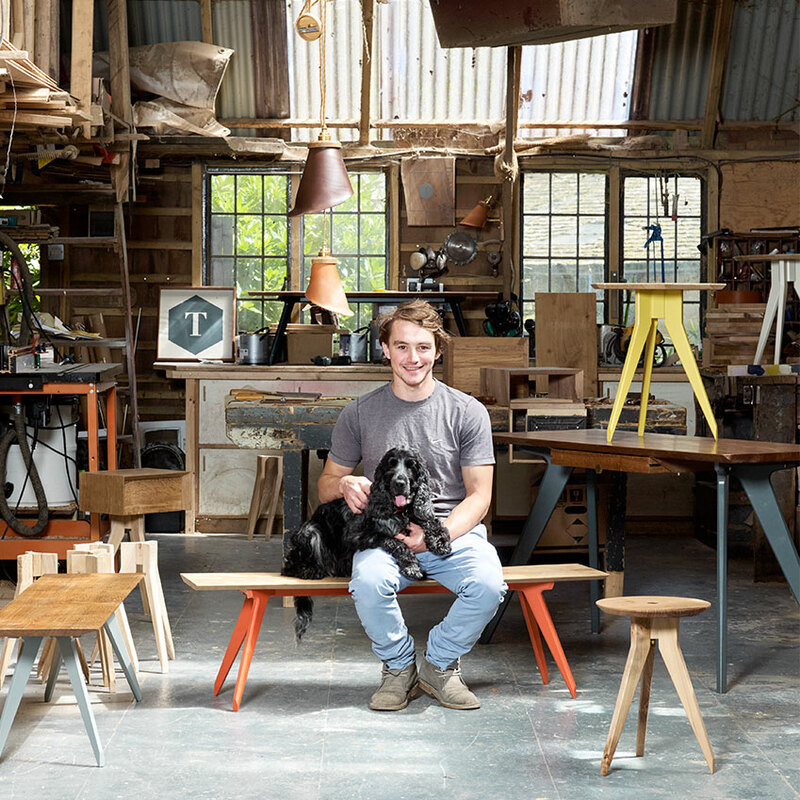 ‘My dad builds wooden boats and I enjoy helping him out with them.’ It’s this inherited passion that informs Jefferis’ designs, including the ‘Tiptoe’ bench and ‘Boltup’ stool (from left). ‘It all starts with a tree. When I make furniture, I use simple methods to expose the natural beauty of the wood. To do this, I have to read the timber and feel its reaction to my tools. Craftsmanship is about respect for your material,’ he says. Indeed, Jefferis lives and works surrounded by his favourite material, a situation he compares to a farmer living among his fields. 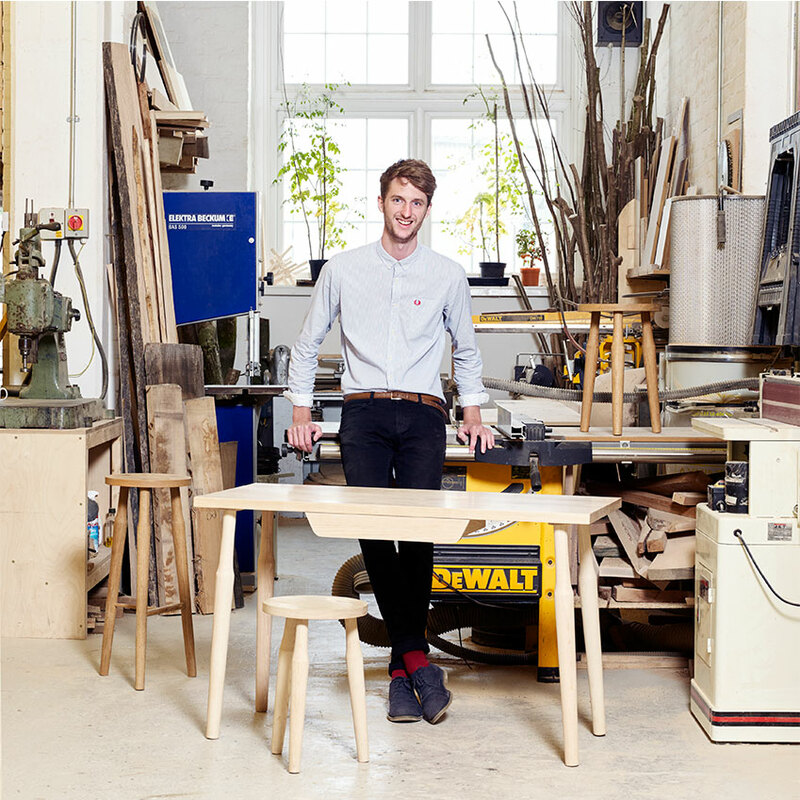 Describing receiving an ELLE Decoration British Design Award as ‘unreal and unbelievable’, he claims that his ultimate ambition is to work with British furniture makers Benchmark: ‘They are an amazing example of how British craftsmanship is the best in the world,’ he says. In the meantime, Jefferis is busy preparing for his first appearance at London Design Festival and working on a collaboration with Britain’s oldest paint-making dynasty, Mylands. ‘It is a pleasure to be working with a family-owned company that has been supplying British craftspeople for more than 130 years,’ he says. Chosen for his well proportioned ceramics, Carey impressed with his attention to detail. 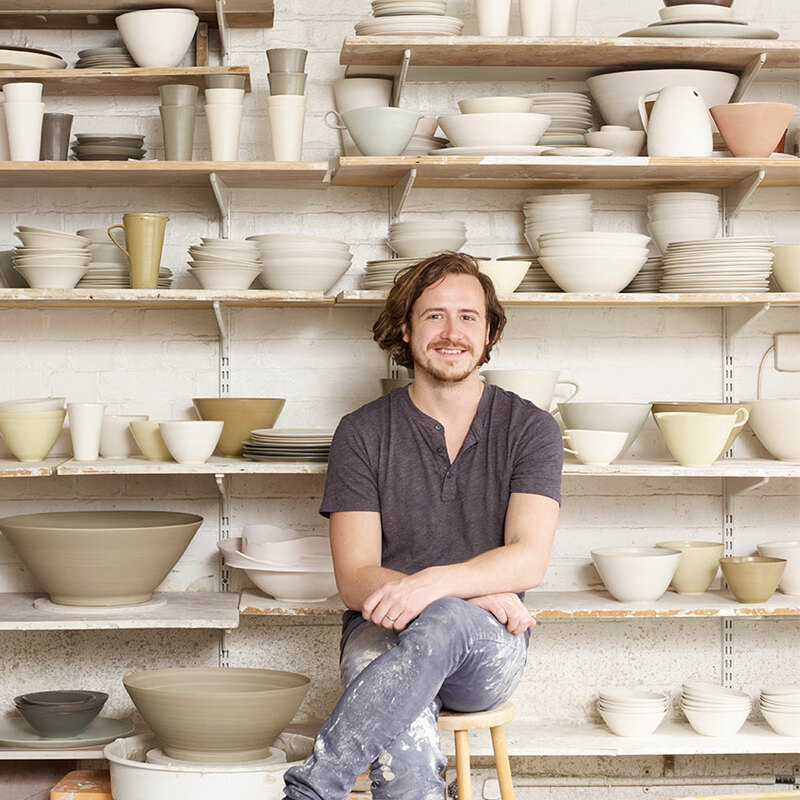 Stuart Carey’s ceramics career began when his name was picked out of a hat aged just 14. The head of his school’s art department Glyn Thomas, a trained potter, selected 15 GCSE art pupils to try ceramics instead of the traditional painting and drawing syllabus. ‘I was doubtful at first, but under his guidance I soon found that I had an aptitude for ceramics and a yearning to explore the material,’ he says. Almost a decade later, a Master’s at London’s Royal College of Art had a similarly transformative effect on him. ‘The RCA cut away my bravado and left me open and honest but exposed,’ he says. ‘Honest’ and ‘exposed’ are two words that could be used to describe Carey’s work. He hand-throws semi-porcelain tableware in batches, resulting in unified collections of one-off objects (above). He has already received large commissions, including one for Calvin Klein, but Carey is dreaming of bigger things: ‘I would love to take over a space like the Turbine Hall at the Tate Modern and slowly fill it up, exploring the possibilities of clay.’ He says that receiving an ELLE Decoration British Design Award has provided him with renewed energy to ‘keep striving to create beautiful things’, so we might see that installation yet. Schofield’s unique approach to the way that products are used and how they age drew us to his ‘Tarnish’ collection. ‘I didn’t see it coming,’ says Daniel Schofield of his ELLE Decoration British Design Award, a sentiment that could be said to also apply to his career. After studying graphic design and serving a carpentry apprenticeship, Schofield finally found his way into design, and hasn’t looked back since. The ‘Tarnish’ collection (above left) also came about by accident: ‘I was making some lights and noticed the way that polished brass reacts to touch. It made working with it difficult, but I decided to stop fighting it and started looking for a way to make a feature of the fingerprints.’ By lacquering half of each piece to protect it from blemishes, he draws attention to the non-lacquered side. ‘The more people engage with the object, the more half of it will tarnish and create a story unique to that person,’ says Schofield, who worked with craftspeople in Sheffield to make the range. He is currently working on a capsule collection for furniture makers Capsbury. Blurring the line between art and ecological design, Durman’s recyled glass vessels really caught our eye. Edinburgh College of Art’s artist-in-residence Juli Bolaños Durman turns jam jars and beer bottles sourced at car boot sales and glass discarded by students into the ‘Ode to Intuición’ series (above right), a limited-edition collection of ornamental vessels. ‘I have always been conscious of the amount of rubbish we produce every day and it scares me,’ she says. ‘I enjoy reusing materials. It is a personal challenge to see the potential in ordinary objects.’ But it’s the sense of colour and fun that she injects into her pieces that makes them special – something she credits to her Costa Rican heritage and her adoption of a childlike curiosity during the design process. ‘I have learned that once you cave into the discomfort of not knowing, life can surprise you in wonderful ways,’ she says. Durman is currently pursuing an Exceptional Talent visa to enable her to stay in the UK, and would love to create a lighting collection.